north, and Calcutta on the east. coast, the Light, and the villages of the interior countryside, the Darkness. 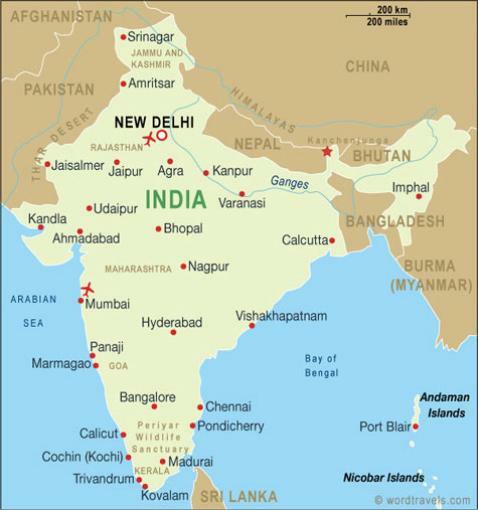 of India, and Buddhism, which had its roots there. India is a land of contrasts between crushing poverty and incredible wealth. slightly more than a third the size of the United States. peek at the India Iâ€™m discovering and that youâ€™ll write me at b.
silvey@sbcglobal.net to share your own thoughts and experiences. 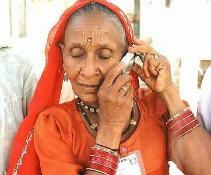 An elderly woman on her cell phone, left. 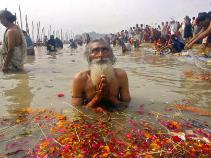 A man prays in the polluted Ganges, right.